It’s been about eleven months now since Puma’s evoPOWER 1 was given it’s first teasing glimpses on our television screens on the feet of Mario Balotelli during a Milan v Roma match. It’s a boot which brought the “Power” silo back to the forefront of the soccer boot world, and has seen rave reviews from pretty everyone who’s had the opportunity to play in them. Professionals globally have flocked to the silo, with world class players such as Cesc Fabregas, Yaya Toure, Giorgio Chiellini, and Marco Reus joining Balotelli in the boots. With the exception of the original limited edition STAMPA model of the boot, the big cat has been pretty stingy when it comes to a player specific limited run version. 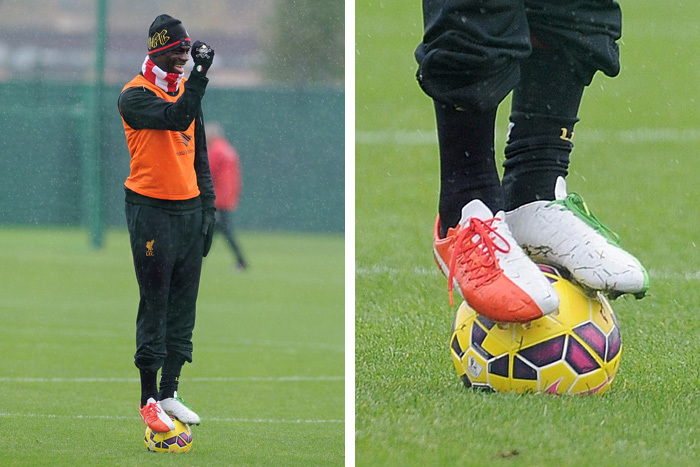 However, that was until our friends at soccer.com got some pictures of Liverpool and soccer’s L’enfant terrible, Mario Balotelli sporting some pretty patriotic coloured boots in training with the Anfield club this week. Given his form for Liverpool at the moment many (myself included) might consider it a bit odd that Puma has gone in Balotelli’s direction for a customized pair of evoPOWER’s, especially with Cesc Fabregas lighting up the Premiership for the silo. It is, however, important to note that Balotelli was the first massive name to make the switch to the brand; and he is on his day one of the finest talents in the game. Balotelli’s unique style suits Puma design team to the ground as well. 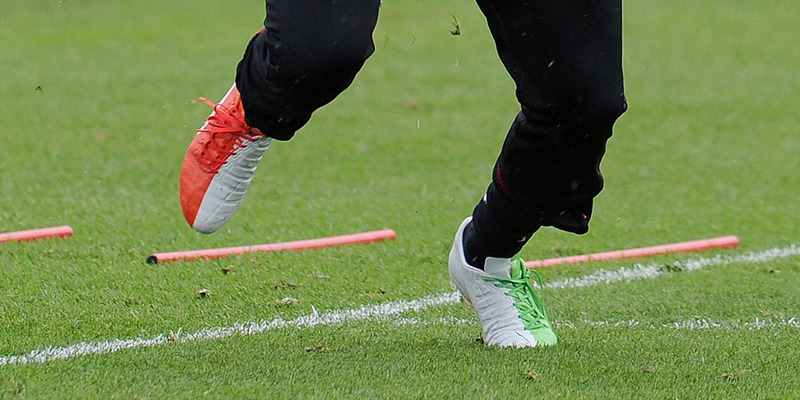 I mean look at those boots from left to right, red, white, and green. The Italian flag in reverse. Or is it. This is after all Balotelli we are talking about, and he is as mad as a box of frogs. The flag. it isn’t for you, the flag it’s for him, and that’s why it looks backwards. 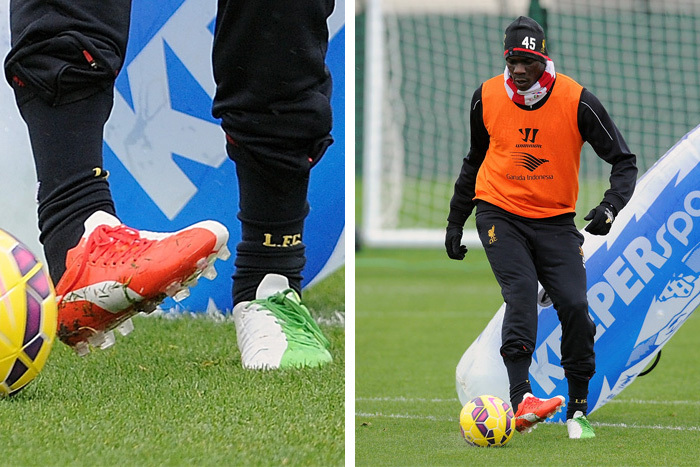 What do you think of Balotelli’s new evoPOWER design? Love it? Hate it? Would you have preferred to see another evoPOWER player get a customized design? Leave us a comment below and let us know what you think.